Investors often focus on earnings, or sales, or how the company is growing its earnings or sales. Other investors might look at cash flows or other less popular measures of the financial health of a company. Among the less popular metrics is one that can be considered worrisome. Net profit margin is a calculation that “expresses the profitability of an entire company, not just a single product or service. It is also expressed in a percentage; the higher the number, the more profitable the company. A low profit margin might indicate a problem that is interfering with profitability potential, including unnecessarily high expenses, productivity issues, or management problems. Calculating the net profit margin … requires the entire company’s revenue and costs. Divide the company’s net income (the profit after expenses are deducted from gross income) into total sales, then multiply the result by 100 to get the answer expressed as a percentage. Let’s say gross sales are $150,000 and expenses are $75,000. That means net income is $75,000. Divide that number into gross sales, $75,000 divided by $150,000, to get .50. Multiplying .50 by 100 equals 50 percent, the net profit margin. “In the middle of what may be the worst quarter for company profits since 2016, there’s a common refrain: This is as bad as it will get. The last few months are the trough, and one quarter doesn’t make a year. Anyone trading on that view have been a winner. The S&P 500 is en route to its fourth straight monthly advance and sits less than 1 percent from a record. But if you’re a bull, you should be aware of a dissident group of forecasters who see clouds looming on the S&P 500 earnings horizon. Specifically, they’re asking how likely earnings are to bounce back should profit margins narrow. One thing bulls don’t want to hear is Wall Street preaching that costs are about to start eating into the bottom line. 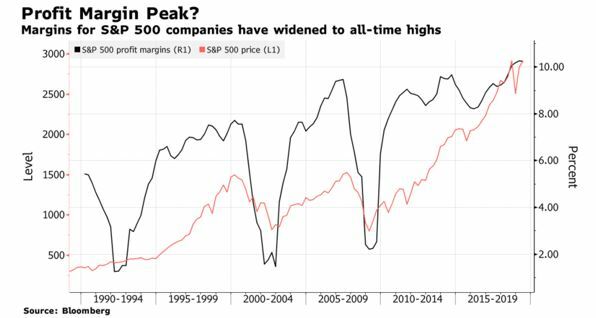 At more than 10 percent, net margins are around the highest they’ve been in at least three decades, providing a boon to the bull market. And while inflation pressures are few and far between, concerns over higher layouts for labor, oil and other raw materials are swirling. Bridgewater Associates recently warned clients that the immense widening of margins over the last 20 years, which it says accounted for half of the developed world’s stock returns, could be at a turning point. Strategists at Goldman Sachs have warned about profitability coming under pressure, too. At Morgan Stanley, researchers are pointing to decelerating global survey data as a precursor to lower margins. 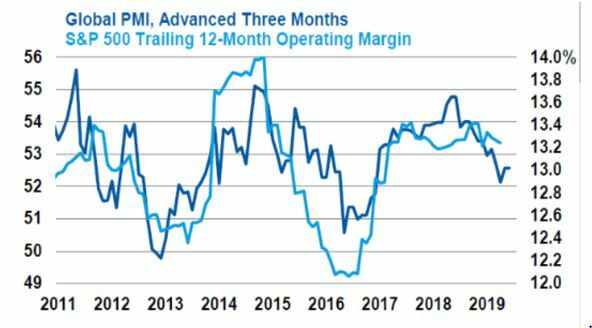 “We are not convinced that the first quarter will be the trough in profit margins,” Lisa Shalett, chief investment officer for Morgan Stanley Wealth Management, wrote to clients [recently]. One week into earnings season, and companies are already bemoaning higher costs. J.B. Hunt Transport Services, Inc., sometimes viewed as a bellwether for the global economy, mentioned higher salaries as one reason for lower operating income. On average, profit margins top out four quarters before the market does, a 2015 study completed by Strategas Research Partners found. And it bears noting that warnings that profit margins were about to collapse were rampant when the paper was published four years ago. Profits for S&P 500 companies are expected to have fallen 3.3 percent in the three months that ended in March. Forecasts show earnings should be flat in the second quarter, up less than 2 percent in the third, and then grow almost 9 percent in the fourth. For GuideStone’s Spika, margin compression poses a big question. “The expectation is for a pretty significant decline in margins — we’re a little surprised that the market isn’t starting to price that in,” he said. 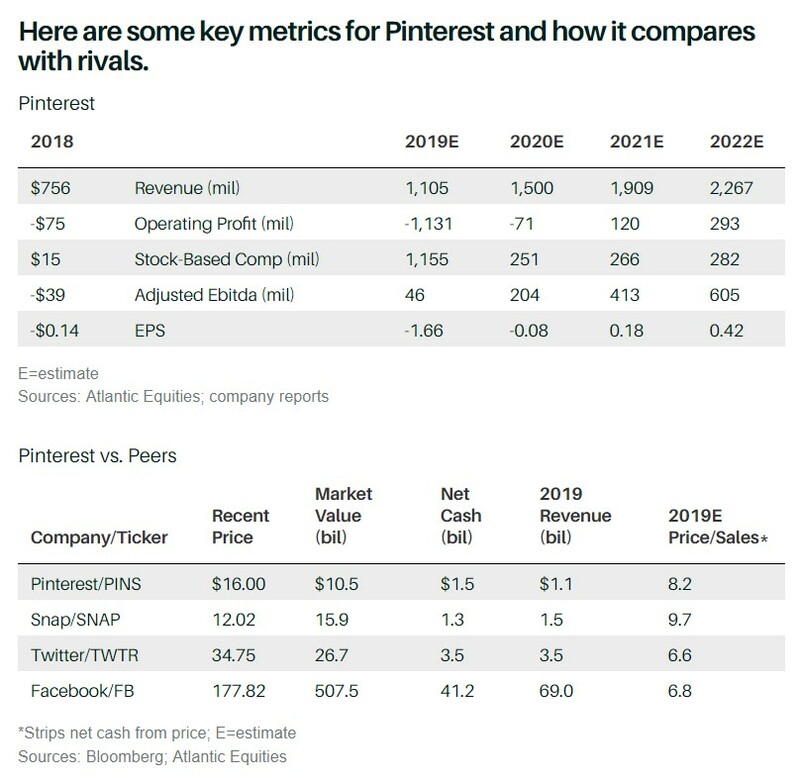 What all of this means is that companies could see profit margins decline and that could translate into lower earnings per share (all other things being equal). Of course, all other things are not equal since companies have been buying back shares. Because of buybacks, it is possible margins can contract while earnings per share increase. That would be, in effect, masking the problem which is the fact that profitability is being squeezed. This quarter, as earnings reports are released, it could be important to consider more than just the earnings, glancing at margins as well since that could signal a change in the trend for many companies. Value investing is one of the simple concepts in finance that is difficult in practice. The concept is to buy stocks that are undervalued, wait until they are fully valued or even overvalued to capture a profit, and repeat the process with an increasing amount of wealth. Many investors are value investors, but no investor has attained the success of Warren Buffett, the billionaire value investor who brings unique insights to the process of wealth creation. One reason value investing is difficult could be the fact that so many investors are using the same information. There is, after all, a limited amount of information available to investors. There is the financial statement which report less than two hundred individual pieces of information. Here, many investors ignore much of the information available and focus on just more popular data. There could be thousands of investors looking for stocks with low price to sales (P/S) ratios, low price to book (P/B) values or low price to earnings (P/E) ratios. This can be useful but is unlikely to result in an unusual level of success since so many investors are looking at that same information. In an effort to find something that other investors are missing in their analysis, there are some investors who will look beyond the financial statements but remain in the realm of publicly available information. There is also a series of regulatory filing including many footnotes to the financial statements. This is a more complex challenge since the information may not be easy to access. But it could be more rewarding and many investors, especially professional analysts and portfolio managers, will look at less popular data. But they may not talk freely about what they do, concerned they could sacrifice their personal edge by sharing their methods. Because not all professionals will talk, it can be useful to pay attention to the ones that do, especially when the investment pro goes in depth discussing their techniques. “I’m looking for events that can move a stock more than 10%: mergers and acquisitions and corporate restructurings, including spinoffs. Management change is a big one. Another is changes in the shareholder roster. “You’d be surprised…. Everything we do is traceable to publicly available information. We’re not really dealing so much in innuendo, but what, exactly, are companies saying on conference calls? And by exactly, I mean that we parse the adverb. If the adverb changes from quarter to quarter, we’re the ones to amplify that. Corporations stick to scripts. When they change the script, it means a lot. Transcripts of calls, and previous calls for comparison, are available on a number of web sites for free. 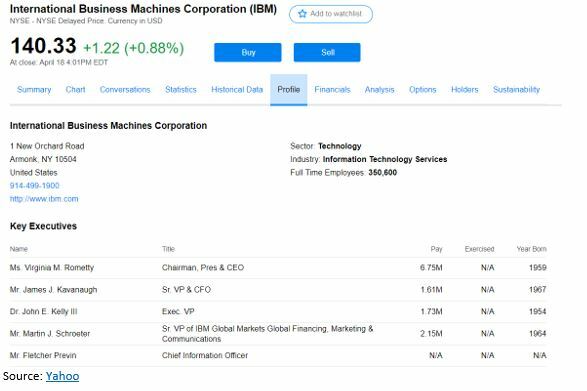 Some companies make the calls available on their investor relations web site so that an individual investor could listen to the tone of the CEO’s voice, just like analysts do. Now, one of the reasons value investing is difficult is because investors can find value, buy the stock and then the stock fails to move. This is the risk of a value trap, a stock offering value but instead presenting a trap to investors which traps funds that could be employed elsewhere. Many investors might wonder where the information about a CEO’s age is available and the truth is the information is relatively easy to find. It is in SEC filings and on websites like Yahoo which shows the data under the company profile, as shown below. This could make a deal difficult but not impossible. Other companies he likes include those involved in potential “M&A in the [Texas] Permian Basin. Finally, after so much talk about M&A last March or April, Concho Resources bought somebody. QEP is a cheap stock whose CEO is about 61 years old. This could be an ideal buy in the sector. Retirement is a complex financial problem and it is one that has received significant attention from great thinkers. MarketWatch.com recently reported that, “Nobel laureate Richard Thaler says drawing down retirement assets is even harder than saving them, partly because of uncertainty about a retiree’s lifespan. To address this problem, he’s proposing meshing 401(k)s with Social Security, InvestmentNews reports. 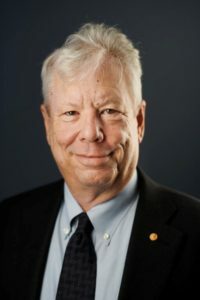 Thaler, who won the 2017 Nobel Prize for his work on behavioral economics, says people should be allowed to contribute a portion of their 401(k) benefits into Social Security when they retire. The contribution would essentially go into an inflation-adjusted annuity guaranteed by the government at fair actuarial value over a retiree’s lifetime. “I’d much rather do this than have the fly-by-night insurance company in Mississippi offering some private version of the same thing,” Thaler was quoted saying Thursday at a retirement event hosted by the Brookings Institution. Thaler, a professor at the University of Chicago Booth School of Business, says his proposal might sound like a “wild and crazy idea” but would be fairly easy to implement. The government already administers Social Security, so no additional bureaucracy would be needed. In a bid to help employees get their retirement savings on track, more 401(k)-plan sponsors are shifting workers’ 401(k) dollars out of their current investment allocations and into the plan’s default option—usually a target-date fund. It’s called re-enrolling. Employees have the options of sticking with their current investment selection, if it’s still offered, or choosing another mix. But in a re-enrollment, unless the participant specifically opts out, his or her 401(k) will be re-allocated to the company’s chosen default investment. As with automatic enrollment, opt-out rates are low. Mr. Reish and his colleagues, who represent several major 401(k) providers, were initially worried about potential push-back from employees. However, only one worker complained, saying a target-date fund would be too conservative, he says. Others opted out with no gripes about the process. All told, about half of the employees re-elected their prior investment selection or selected some other investment strategy. Employees who opt out are more likely to be better educated, older and more affluent than those who accept the default, says Mr. Utkus. Reish & Reicher’s opt-out rate was higher than most companies that undergo a re-enrollment. Indeed, for companies moving their 401(k) plans to T. Rowe Price Group, the acceptance rate is much higher and has increased in recent years, says Carol Waddell, director of product development for the company’s retirement-plan-services unit. Thaler’s original innovation, automatic enrollment has been well received. The more recent idea involving an annuity may be less popular, but it is important to consider the source of the idea and to consider whether the idea could be beneficial. 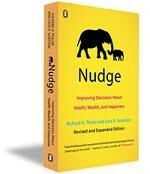 Thaler is someone who should not be ignored. He sees value in an annuity and many investors should consider that. Thaler is most likely attempting to reduce the longevity risk a retiree faces. Longevity risk is defined by Investopedia as “risk to which a pension fund or life insurance company could be exposed as a result of higher-than-expected payout ratios. Longevity risk exists due to the increasing life expectancy trends among policyholders and pensioners and can result in payout levels that are higher than what a company or fund originally accounts for. “Longevity risk affects governments in that they must fund promises to retired individuals through pensions and healthcare, and they must do so despite a shrinking tax base. Corporate sponsors who fund retirement and health insurance obligations must deal with the longevity risk related to their retired employees. In addition, individuals, who may have reduced or no ability to rely on governments or corporate sponsors to fund retirement, have to deal with the risks inherent with their own longevity. Organizations can transfer longevity risk in a number of ways. The simplest way is through a single premium immediate annuity (SPIA), whereby a risk holder pays a premium to an insurer and passes both asset and liability risk. This strategy would involve a large transfer of assets to a third party, with the possibility of material credit risk exposure. Alternatively, it is possible to eliminate only longevity risk while retaining the underlying assets via reinsurance of the liability. In this model, instead of paying a single premium, the premium is spread over the likely duration of 50 or 60 years (expected term of liability), aligning premiums and claims and moving uncertain cash flows to certain ones. These solutions are not available to individuals and they are very important to each individual. Thaler is suggesting a low cost annuity to reduce the risk that an individual will outlive their money and that is useful to consider. However, that is a difficult problem to consider because there are good and bad annuities. Buying an annuity may be the best choice for many investors but finding the right one will require considerable effort. Importantly, blanket advice saying no annuity should ever be bought is most likely bad advice for many individuals. There are differences, as we all know, between playing golf as a weekend player and a professional. These differences can be explained as the difference between a loser’s game and a winner’s game. That same difference can be used to understand why some traders win and others lose. “Simon Ramo identified the crucial difference between a Winner’s Game and a Loser’s Game in his excellent book on playing strategy, Extraordinary Tennis for the Ordinary Tennis Player. Over a period of many years, he observed that tennis was not one game but two. One game of tennis is played by professionals and a very few gifted amateurs; the other is played by all the rest of us. Although players in both games use the same equipment, dress, rules and scoring, and conform to the same etiquette and customs, the basic natures of their two games are almost entirely different. After extensive scientific and statistical analysis, Dr. Ramo summed it up this way: Professionals win points, amateurs lose points. Professional tennis players stroke the ball with strong, well aimed shots, through long and often exciting rallies, until one player is able to drive the ball just beyond the reach of his opponent. Errors are seldom made by these splendid players. Expert tennis is what I call a Winner’s Game because the ultimate outcome is determined by the actions of the winner. Victory is due to winning more points than the opponent wins – not, as we shall see in a moment, simply to getting a higher score than the opponent, but getting that higher score by winning points. Amateur tennis, Ramo found, is almost entirely different. Brilliant shots, long and exciting rallies and seemingly miraculous recoveries are few and far between. On the other hand, the ball is fairly often hit into the net or out of bounds, and double faults at service are not uncommon. The amateur duffer seldom beats his opponent, but he beats himself all the time. The victor in this game of tennis gets a higher score than the opponent, but he gets that higher score because his opponent is losing even more points. As a scientist and statistician, Dr. Ramo gathered data to test his hypothesis. And he did it in a very clever way. Instead of keeping conventional game scores – “Love,” “Fifteen All.” “ThirtyFifteen.” etc. – Ramo simply counted points won versus points lost. And here is what he found. In expert tennis, about 80 per cent of the points are won; in amateur tennis, about 80 per cent of the points are lost. This shift is seen in asset flows to passive managers. If the stock market declines by 50%, is it really your goal to lose 50%? Remember that the stock market has declined by 50% twice in the still young 21st century. Investors often seem to forget about those brutal losses in bull markets. The experts begin explaining that it is impossible to beat the market in the long run and highlight bull market returns. When bear markets are considered, active strategies can be useful. “In his 2008 book Stocks for the Long Run 5/E: The Definitive Guide to Financial Market Returns & Long-Term Investment Strategies, Jeremy Siegel investigates the use of the 200-day SMA in timing the Dow Jones Industrial Average (DJIA) from 1886 to 2006. His test bought the DJIA when it closed at least 1 percent above the 200-day moving average, and sold the DJIA and invested in Treasury bills when it closed at least 1 percent below the 200-day moving average. Faber then tested an even simpler strategy using the 10 month moving average. His results are shown below. 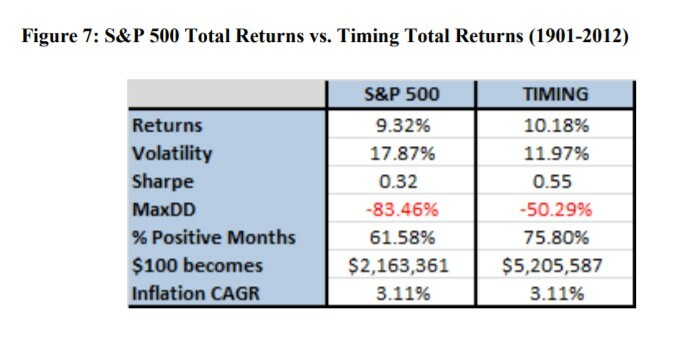 Notice that the simple timing model beat the long term passive investment model. That’s because of the important impacts bear markets have on long term performance. Faber explains, “All of the G-7 countries [G-7 countries are the world’s largest developed economies] have experienced at least one period where stocks lost 75% of their value. A 50% loss requires a 100% gain just to get back to even. That could take many years or even decades. To this, the passive investment advocates note that stock prices always come back and that advice requires ignoring Japan which is not really an anomaly. Japanese stocks peaked in 1989 and remain well below that all time high. In fact, after thirty years, the benchmark average for that country remains more than 40% below its all time high. Ignoring that reality places an individual’s retirement at risk. That is irresponsible and yet, many investment experts insist that risk should be ignored. Given the high level of risk and life changing consequences, buy and hold passive investing might be too risky for almost all individual investors. Gold is “very useful in medicine in the form of gold-containing drugs. There are two classes of gold drugs used to treat rheumatoid arthritis. One is injectable gold thiolates – molecules with a sulfur atom at one end, and a chemical chain of virtually any description attached to them – found in drugs such as Myocrisin, Solganol and Allocrysin. The other is an oral complex called Auranofin. Gold is also increasingly being used in nanotechnology. A nanomaterial is generally considered a material where any of its three dimensions is 100 nanometers (nm) or less. Nanotechnology is useful because it is not restricted to a particular material – any material could in principle be made into a nanomaterial – but rather a particular property: the property of size. For example, gold in its bulk form has a distinct yellow color. But as it is broken up into very small pieces it starts to change color, through a range of red and purple, depending on the relative size of the gold nanoparticles. Such nanoparticles could be used in a variety of applications, for example in the biomedical or optical-electronic fields. Another exciting advancement for gold in nanotechnology was the discovery in 1983 that a clean gold surface dipped into a solution containing a thiolate could form self-assembled monolayers. These monolayers modify the surface of gold in very innovative ways. Research into surface modification is important because the surface of anything can show very different properties than the bulk (that is, the inside) of the same material. Gold nanoparticles have also proven to be an effective catalyst. A catalyst is a material that increases the rate of a chemical reaction and so reduces the amount of energy required without itself undergoing any permanent chemical change. 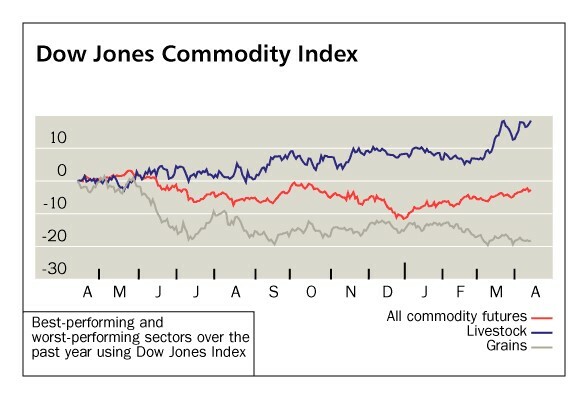 “Gold prices holding firmly above strong support at $1280 this year, even as the U.S. dollar’s strength has weakened gold’s currency component, is a testament to the metal’s institutional support. According to the World Gold Council, central banks added the highest level of gold reserves in 2018 in over 50 years. China’s central bank also increased its gold reserves to 60.62 million ounces in March from 60.26 million in February. China has previously gone long periods without revealing increases in gold holdings. When the central bank announced a 57 percent jump in reserves to 53.3 million ounces in mid-2015, it was the first update in six years. The latest pause was from October 2016 until December last year. Barron’s noted that silver could be the better investment. Total physical demand for silver rose 4% last year, to a three-year high of 1.03 billion ounces, according to the Silver Institute’s World Silver Survey, compiled by a team at financial data and analytics provider Refinitiv. The report … showed that global industrial silver demand fell 1% last year, to 578.6 million ounces. All told, silver’s physical market posted a “minor deficit” of 29.2 million ounces in 2018 which is considered to be close to in balance. The World Silver Survey found that global investment in silver bars and coins grew 20% last year, with bar demand alone up 53%. The study also revealed a third consecutive annual decline in global production of the metal. It fell 2% in 2018, to 855.7 million ounces. Retirement planning is a significant challenge to many investors. They must decide how much to save now to allow them to retire later and that problem involves assumptions about potential returns, the sequence of returns or the risk, the rate of inflation and the length of time the assets will need to be used for. The Wall Street Journal recently highlighted the problem in terms that are facing government agencies around the country, “The pressures are coming from a slate of problems, and the longest bull market in U.S. history has failed to solve many of them. Public pension funds have to pay benefits—their liabilities. They hold assets, which grow or shrink through a combination of investment gains or losses and contributions from employers and workers. 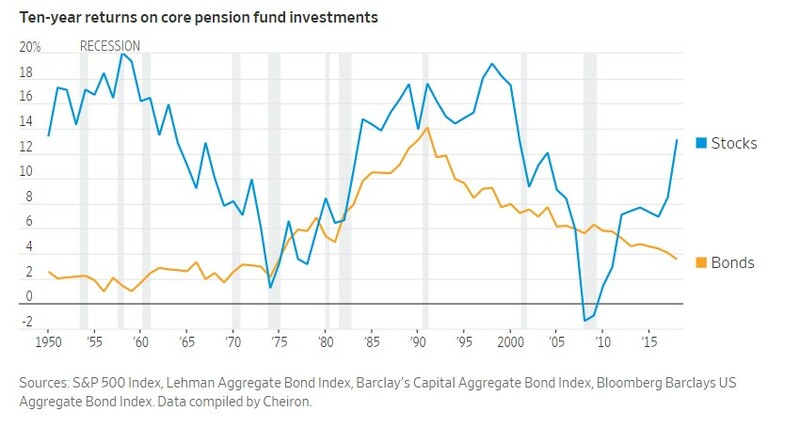 Those assets generally rose faster than liabilities for five decades starting in the 1950’s because government was expanding and the number of retirees was smaller. In the 1980’s and 1990’s, double-digit stock and bond returns convinced governments they could afford widespread benefit increases. But the value of their holdings—their assets—began to fall in the aftermath of the dot-com bust in the 2000’s, and the 2008 financial crisis followed soon after. State and local retirement systems lost 28% in 2008 and 2009, according to the Boston College data. 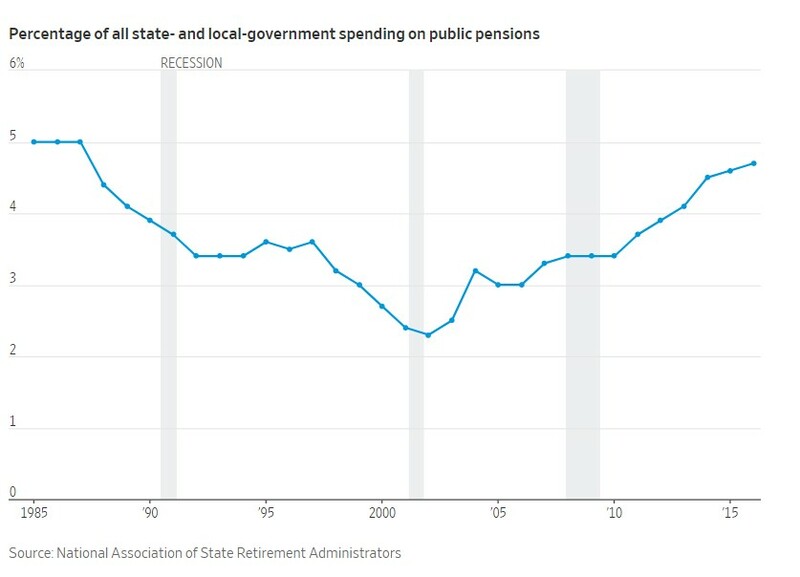 Cities and states set out to ramp up their yearly contributions to public pension funds as a way of making up for their investment losses. Some were able to keep up with those payments. But others weren’t as they struggled with lower tax revenue and increased demand for government services in the aftermath of the 2008 crisis. New Jersey made less than 15% of its recommended pension payment from 2009 through 2012. It now has a little more than one-third of the cash it needs to pay future benefits—despite robust investment returns in recent years. These same problems could trip up individual investors. Barron’s recently noted, The two most crucial questions in retirement planning—how long are you likely to live, and how much of your life will be spent in relatively good health?—have long been dismissed as unknowable. But thanks to facial analysis, gene testing, and other new technology, advisors and investors may finally be able to get answers that meaningfully change the way they navigate saving for and living in retirement. And it has as much to do with your health as it does your portfolio. Most people rely on crude tools, wild guesses and wishes to determine how long they’ll live. In a survey released by AIG Life & Retirement last week, 53% of respondents said their goal is to live to the age of 100. Yet, the financial reality of living that long is daunting. In the same survey, the majority of respondents said they fear running out of money more than death itself. Consider [an individual] who is 65. A standard lifespan table from the Social Security Administration suggests he’ll live to be 83. By his own assessment—which encompasses a number of factors, including biomarkers—he is on track to live into his 90s. Calculators can give a more accurate read, but the results can vary dramatically depending on methodology and inputs. Anyone who goes this route should stick with a calculator that give results in probabilities rather than absolute numbers, says [one expert], who recommends the American Academy of Actuaries’ Longevity Illustrator. “People say they want to live to be 100, but the number itself is less relevant than how healthy you are,” says ay Olshansky, a leading researcher in longevity and a professor in the School of Public Health at the University of Illinois. Indeed, health doesn’t just determine quality of life, it is one of the single biggest wildcards for retirement planning. This is where facial analysis—and other new technology, such as saliva-based tests for longevity genes and other biomarkers—could offer a more nuanced look at lifespan. A new venture, Wealthspan Advisors, is gearing up to roll out a platform for advisors using the same technology that Olshansky and other researchers helped develop for the insurance industry. Instead of simply asking clients how long they think they will live, planners ask a series of questions and take a photograph of a client’s face. From that photo, the program provides an estimate for both lifespan and health span, and illustrates how lifestyle choices will influence those outcomes. “When you look young for your age, it usually means that you are aging at a slower rate,” Olshansky says, noting that the program isn’t fooled by makeup and cosmetic procedures. 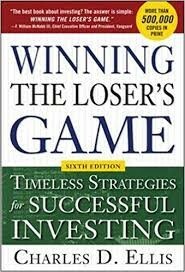 In short it is a competitive market and there will be winners and losers. The losers are likely to outnumber the winners, a situation that has historically been the case before. Barron’s recently reviewed the market and reached a possibly surprising conclusion. “The United Kingdom has emerged as the No. 1 location on earth to support autonomous vehicles, or AVs, in a new analysis conducted by the Society of Motor Manufacturers and Traders, or SMMT. The U.K. lobby group has calculated that it will generate an economic boost of 62 billion pounds sterling ($81.1 billion) per annum by 2030, which will boost the U.K. economy and a range of firms. But How Can Investors Benefit? The key is to identify the sectors most likely to profit, and then some of the investible stars that lead the way in their fields. A long-term chart of Ford is shown below. The stock is near multiyear lows and the concern for investors might be the market for nonelectric cars. Those cars, of course, make up the majority of the company’s business and could be a drag on Ford’s performance for some time. A pure play in electric cars could be TSLA. The chart shows the stock has delivered significant gains in the long term however the company has stumbled recently, largely on concerns that the company’s CEO, Elon Musk, is not focused enough on the company as he directs attention to other projects. Barron’s continued, “Sajid Yacoob, head of global electric vehicles at Tata Consultancy Services, says that these stocks are well placed for growth because they are embracing change. But the sectors extend to a bunch of less obvious industries—think technology, telecoms, transport, infrastructure, insurance, and legal. Once driverless cars are built, the next two vital components are telecoms and power. AVs rely heavily on communications such as 4G and, eventually, 5G—the mobile connectivity that links them to the environment, such as intelligent traffic lights and road sensors. 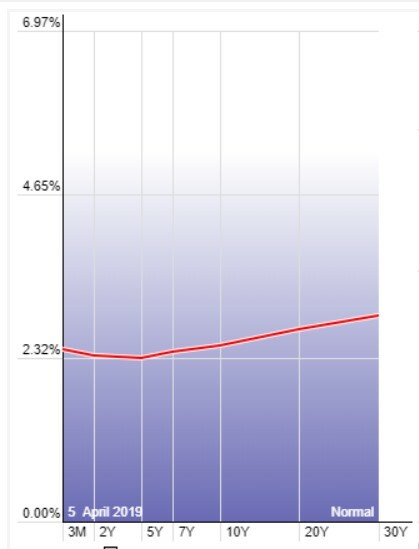 VOD is available in the US and the long term chart is shown below. This stock is also weighed down by the legacy business. Barron’s concluded, “In terms of power, most of the auto makers are developing their own battery technology. Japan’s Nissan has built its own state-of-the-art battery plant in northern Britain. Next up are the firms developing the software and hardware that allow cars to “talk” to the roads around them. These are electronic gadgets that sit inside vehicles that use wireless internet to synchronize with similar boxes placed at traffic junctions and along highways. Yacoob highlights Germany’s Continental, a blue-chip stock on the benchmark DAX index that is probably best known for tires but is also a leader in electronics, as well as the privately owned engineering company Bosch. In Europe, four countries, the U.K., the Netherlands, France, and Germany, are battling to be the first to deploy these autonomous robots on the roads. They believe that the technology will unlock economic growth, jobs, and wider improvements. With so many of the potential investments in overseas markets, investors should consider their options carefully. Many large brokers allow investors in the US to access individual stocks in overseas markets directly through their accounts. While this could be tempting to some investors, the risks should not be ignored. Investing in stocks in other countries carries many of the same risks that investing in stocks on US markets carry. That includes company specific risks along with risks associated with the stock’s sector and the broad stock market. While the risks may be acceptable to some, they must be considered, especially when investing in new technologies. Another factor that must be considered is the issue of taxes. Investing in foreign stocks can require additional tax forms and the work involved may not be worth the effort for smaller investments. For smaller investors exchange traded funds could offer the best way to access international markets. “An inverted yield curve is an interest rate environment in which long-term debt instruments have a lower yield than short-term debt instruments of the same credit quality. This type of yield curve is the rarest of the three main curve types and is considered to be a predictor of economic recession. Historically, inversions of the yield curve have preceded many of the U.S. recessions. Due to this historical correlation, the yield curve is often seen as an accurate forecast of the turning points of the business cycle. 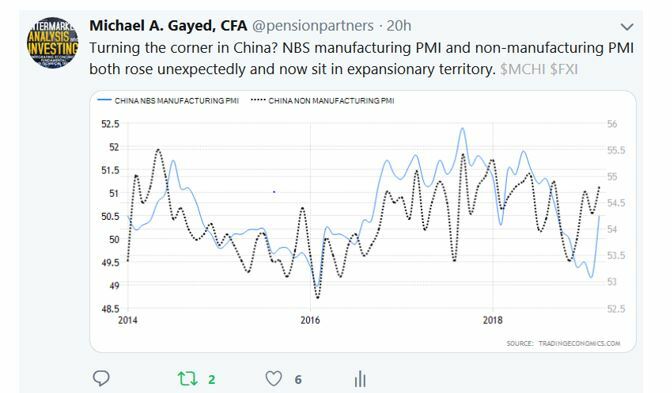 The most recent inversion is shown in the chart below. “There was a seismic shift in investor psychology when the yield curve inverted [recently]. A trifecta of events drove investors to safety in long-term Treasuries, causing yields to fall lower than that of shorter-dated Treasuries—what is called a yield-curve inversion. This recession signal was flashing red, but there was—and still is—green to be made. More than a handful of long-duration bond exchange-traded funds, such as the iShares 20+ Year Treasury Bond ETF (NYSE: TLT) and the Vanguard Long-Term Bond ETF (BLV), hit new highs [after the inversion].” A chart of TLT is shown below. Barron’s continued, “When the yield curve inverted, the longer the duration, the greater the boost, and the more likely that the ETFs were going to make new highs, says Will Geisdorf, the ETF strategist at Ned Davis Research. To bet on a flatter yield curve, the classic strategy for bond investors is to have a “barbell”—a fixed-income portfolio mostly made up of positions at the short and long end. That means cash or money market funds, which yield more than 2% with very low risk, on one end, and longer-dated Treasury ETFs, such as Vanguard Extended Duration Treasuries (NYSE: EDV) and Pimco 25+ Year Zero Coupon U.S. (NYSE: ZROZ), on the other.” The chart of EDV is shown below. This strategy can deliver significant gains. “With perfect hindsight, this barbell positioning would have been the bet to make when 10-year Treasury yields hit a peak at 3.23% in early October, as prices rose on longer-dated bonds. The Vanguard Extended Duration Treasuries ETF, which invests in bonds dated 20 years or longer, returned 16% from Oct. 5 through [late March]. The iShares Short Maturity Bond ETF (NEAR) returned 1.3% over the same period. However, the next few months could be more difficult, “The barbell might be close to played out. The yield curve may begin to steepen if the yield on the 10-year Treasury note bottoms where it has been recently, at 2.37%, as prices grew too rich for investors. That shows up in the performance of two exchange-traded notes that aim to execute specialized, and inverse, strategies in one product—the iPath U.S. Treasury Flattener ETN (NYSE: FLAT) and the iPath U.S. Treasury Steepener ETN (NYSE: STPP). Betting on what the pros call a steepener trade could be useful in active funds, says Anne Mathias, who manages more than $720 billion in active fund assets in Vanguard’s fixed-income group. Mathias does not see a recession on the horizon, but expects the economic environment to improve in the back half of the year as trade tensions ease. “There is a maxim that the Federal Reserve causes recession by hiking interest rates too quickly, but they are communicating a policy approach that diverges from historical tightening cycles,” she says. With a “bullet” strategy, in which investors own more intermediate-term bonds and eschew the short and long ends, can work if the yield curve steepens; prices for intermediate-term bonds rose [after the inversion]. That could become a more attractive strategy if short-term rates fall, but that would require the Fed to actually cut rates—on which the federal-funds futures market places a 70% probability by year end, according to the CME FedWatch site. In summary, as there almost always is, there is a lack of consensus among investment experts. Where does that leave individual investors? While there’s no consensus and certainly “no guaranteed to be correct” answer, now could be a time when diversification can help reduce risk. Betting on just one strategy could result in large losses. Diversification can deliver more balanced results. It could also be beneficial to decrease risks. Investors who have all of their assets in stocks could consider this to be an ideal time to take some profits or add fixed income assets to their portfolio. Increasing cash could be the best strategy in an uncertain market, one that reduces risks even if it reduces the potential gains of a bull market.